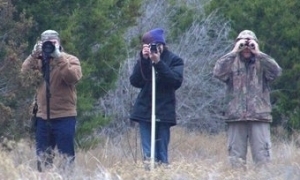 If you have them, bring binoculars and a field guide to stroll along and learn with Billy Teels. How many species will YOU see? Fun for Everyone! 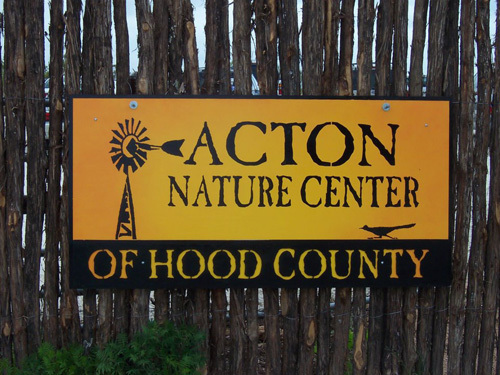 The Acton Nature Center of Hood County is open to anyone who enjoys the peace and quiet of nature at its finest. Trails will lead you around the center to view the natural pond filled with croaking toads. In a heavily shaded ravine you will find a large old Live Oak tree spreading its branches as if to welcome you in. The Nature Center is open to the public 7 days a week, dawn to dusk, and always free.